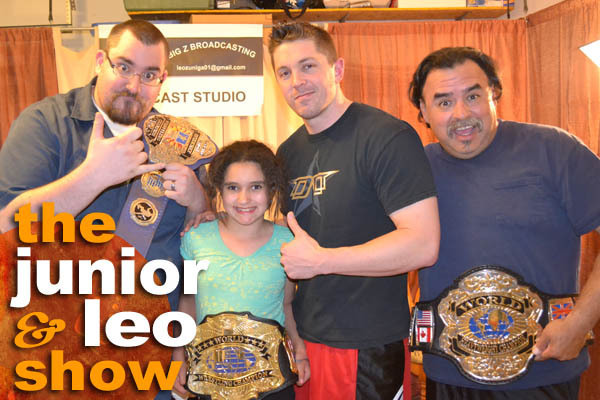 The guys welcome professional wrestler, "Double D" Dave Dutra onto the show. Listen as we learn the skinny on what it took Dave to become a wrestler, some of the places he's worked, where he'd like to work, how he balances doing shows and training with having a wife and a newborn son, and what it actually means to be an Independent Worker. Great fun ahead on this episode, so check it out! For more "Double D" check out his website here, and his Facebook page here. 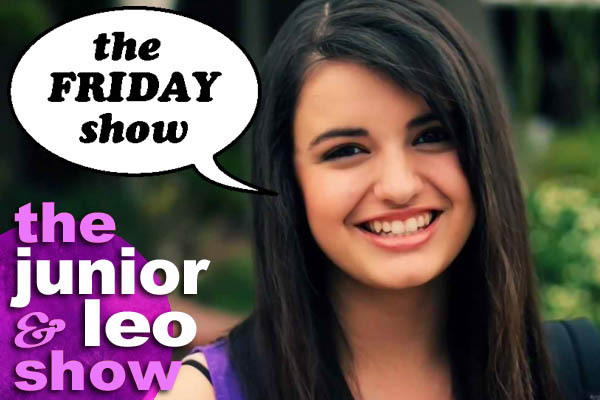 Hey look, it's another Friday Show! The guys talk about their last live show at the Comedy Spot. Junior rants about manners and being disrespected by a recent guest of the show, and Leo laughs at him. It's the wacky morning zoo episode of The Junior & Leo Show as we welcome comedians Tom McClain and Steph Garcia on the show. We attempt to talk about comedy, moving to LA, weight struggles as profiled on "Dr. Phil," the tole being a professional in comedy takes on family, and lots of other stuff...but ultimately this show was about one thing and one thing only, a very particular glory-hole. Yuck it up, maybe. For more Tom McClain go here. For more Steph Garcia go here. When it comes to doing it all, Ryan Rivac is nearly there. He's a trained chef, experienced dancer, and one member of David Garibaldi's back-up crew, the CMYK's. We talk to Ryan about family, what it's been like being involved in the Sacramento dance scene, as well as his journey into the world of chef-dom, and his experience on last season's "America's Got Talent." 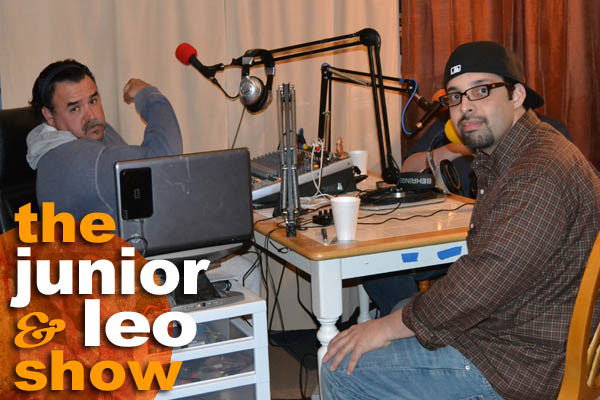 All that and more on this episode of The Junior & Leo Show. 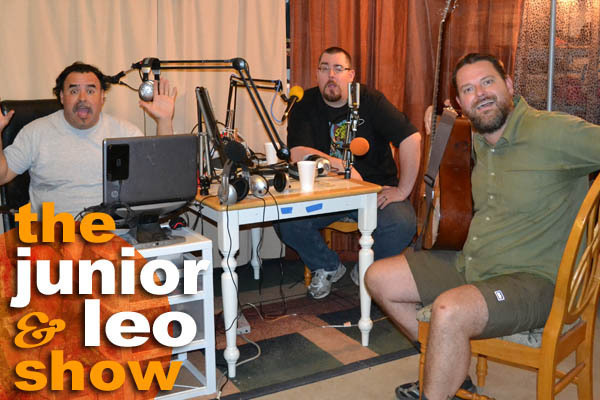 On this episode of The Junior & Leo Show, the guys welcome local band, Swahili Passion! Dan Roberts and Don Penney make with the good times and funny by way of song. With tunes ranging in content from Star Trek to obscure African nations, the guys never fail to deliver a smile right to your face with each pluck of a guitar string. Listen as the guys talk about songwriting, what inspires them, hitting music open mics versus comedy open mics, the difficulties of maintaining a band, and where their dreams lead them. Check out more Swahili Passion online here. Hey look, it's another Friday Show! This time with more Friday than ever before! 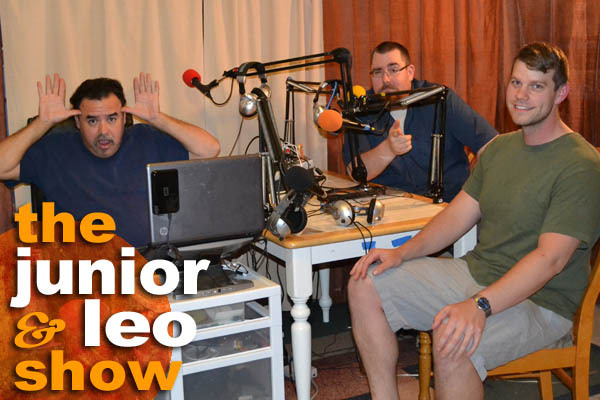 On this episode our friend Hunter Hill joins us as we talk about the tv shows we're watching, why dictators are a good thing, and Junior remembers a late friend. 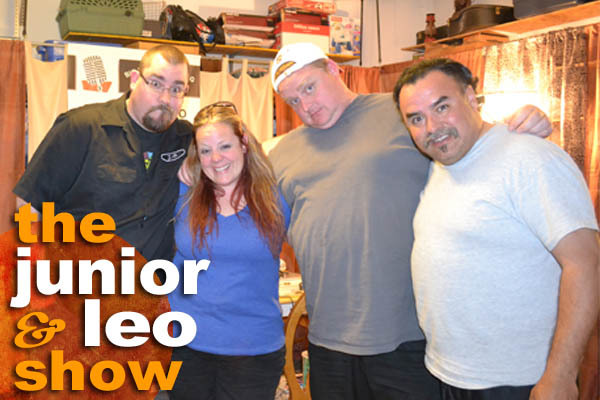 On this episode of The Junior & Leo Show the guys welcome Sacramento independent filmmakers, Jason Rudy and Erica "EB" Leigh! Listen in as we chat with them about their upcoming film, Mondo Sacramento 2, which depicts six true life crime stories that happened in and around Sacramento, California! We talk about the ups and downs of being an indy filmmakers, how Jason and Erica met and what each did in order to make this film a reality. 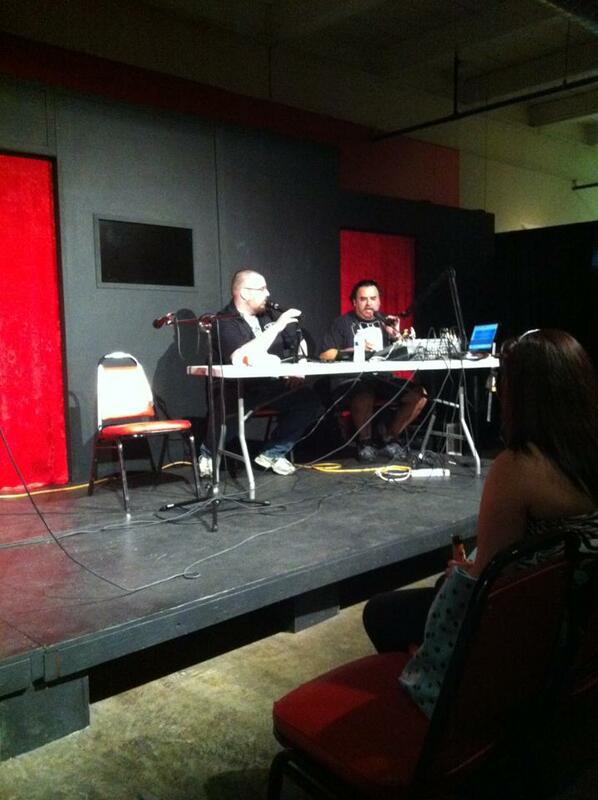 We also touch briefly on Jason's history as an independent wrestler, and their influences in film and beyond! It's a great chat for anyone who is interested in filmmaking. Be sure to check out more of their work via their Facebook page, and check out the premiere of Mondo Sacramento 2 happening at the Crest Theatre on Thursday, May 16th!